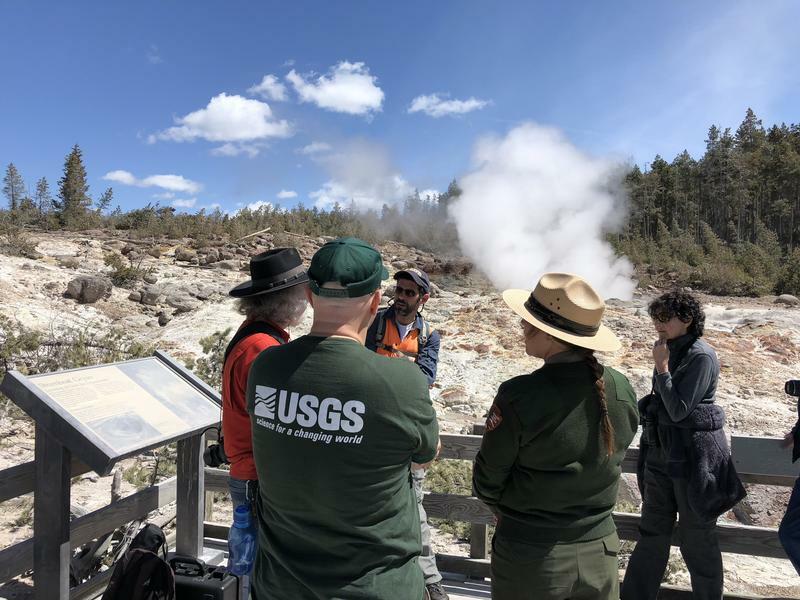 Mike Poland, the director of the Yellowstone Volcanic Observatory, Morgan Warthin, Yellowstone public affair specialist, and a member of the United States Geological Survey, stand in front of Steamboat geyser. A science project is being conducted in the classroom at the Buffalo Bill Center of the West. Megan Smith, an education specialist, is standing in front of a huge, plastic box of flour. A bicycle pump connects to the box. As Smith starts pumping, slowly the flour falls off to the side and a red balloon appears. All of the sudden, the balloon explodes and a huge dip like a bowl is left in the middle of the flour. This is a simulated caldera explosion. 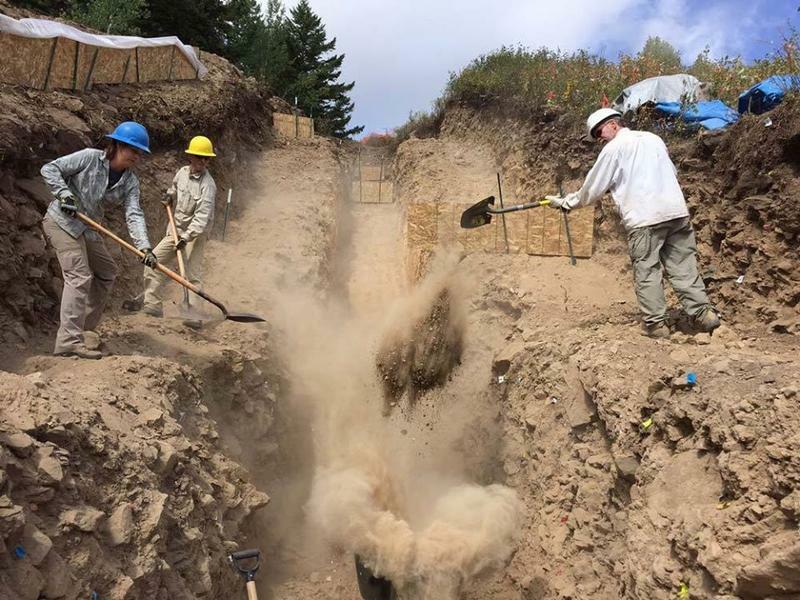 Smith and her colleague George Miller are showing how the supervolcano erupted creating the Yellowstone Plateau beginning millions of years ago. 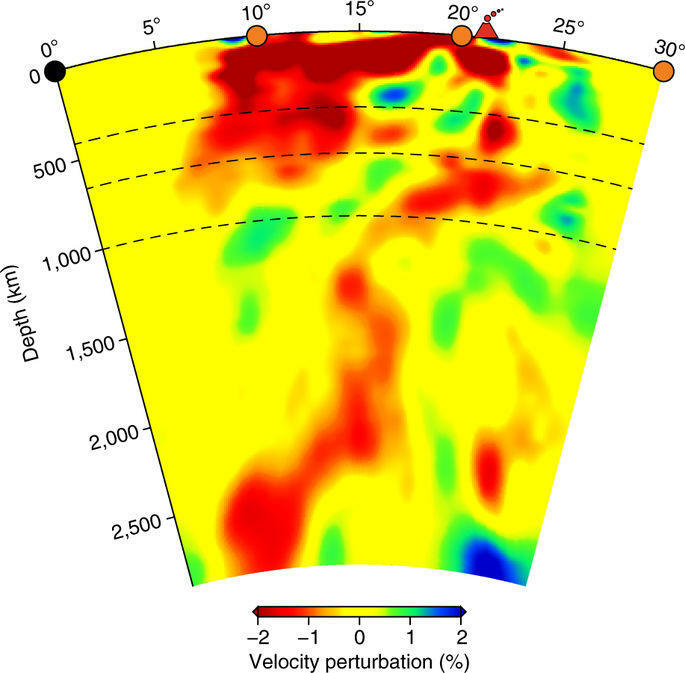 "When the balloon is inflating that simulates the expansion of the top of the plume — the Yellowstone hotspot — and then when it goes off, it's the eruption," explained Miller. Steamboat Geyser erupts infrequently and before this recent surge, it last erupted four years ago on September 14, 2014. And because of this, some are predicting doomsday is near. But Morgan Warthin, the Yellowstone public affairs specialist, said the eruptions don’t mean the super volcano is next. Standing in front of the Steamboat Geyser with Warthin, we observed steam coming out of the vent and hopeful visitors lingering to see if they could catch an eruption. Warthin said Yellowstone has the largest concentration of thermal activity in the world with over 10,000 hydrothermal features. 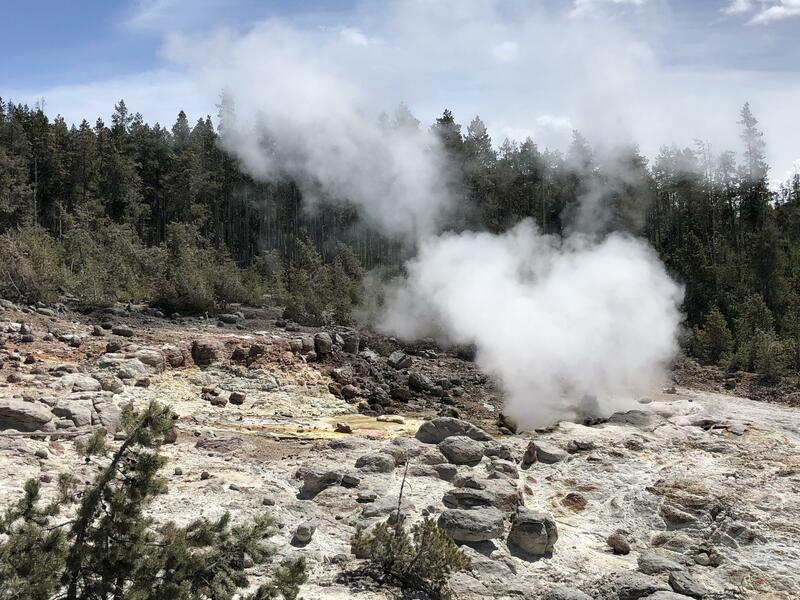 "What's normal for Yellowstone is for geysers to go off, mud pots to bubble up, like you hear the blugh blugh," said Warthin mimicking the sound. "It's active seismically so earthquakes are quite common, small earthquakes." 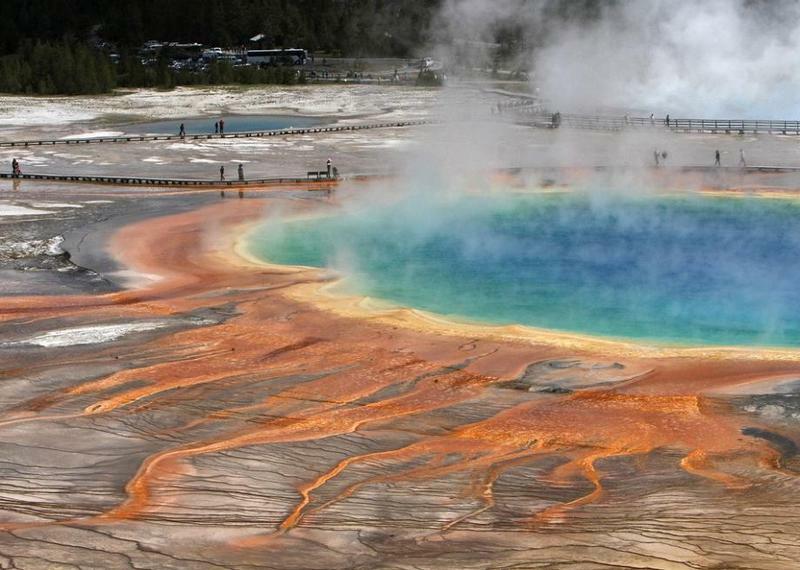 Yellowstone is unique because of its thermal activity. And to understand why the four consecutive eruptions of Steamboat Geyser doesn’t mean that the volcano will erupt any time soon we need to go back in time. "About two million years ago, we had three giant volcanic eruptions. People called them super eruptions," said Bob Smith, distinguished professor of geology and geophysics at the University of Utah. Smith has been studying Yellowstone geology and geophysics for 61 years. And the third and last eruption, 631,000 years ago, created the caldera or the plateau. Smith said hot magma sits very deep below it. 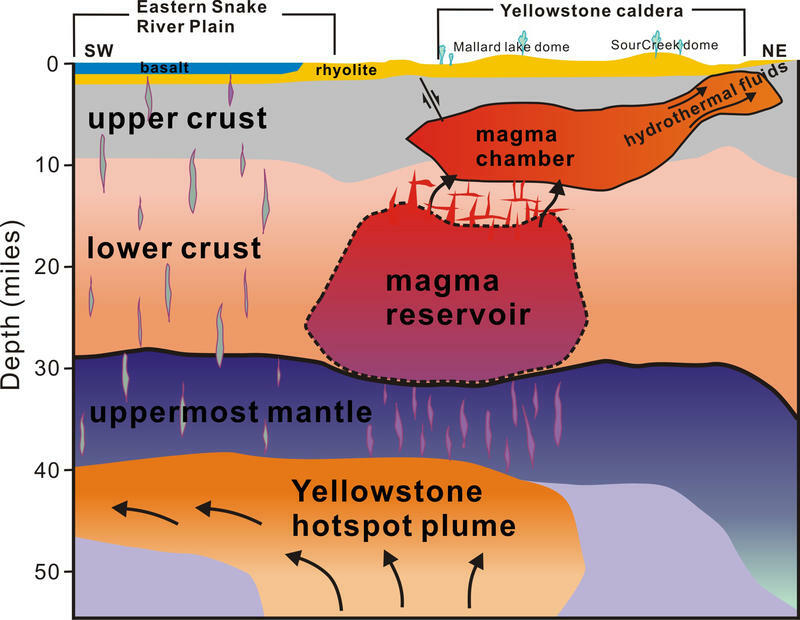 "The magma from Yellowstone comes up from the earth’s depth of about 1,800 miles and rises vertically," Smith said. A small amount of the magma passed through the cold part of the North American continent, which formed two magma reservoirs. But these chambers only contain seven percent of molten rock. Smith said water that comes from rain, snow and rivers is heated up by the heat source only a few miles down. 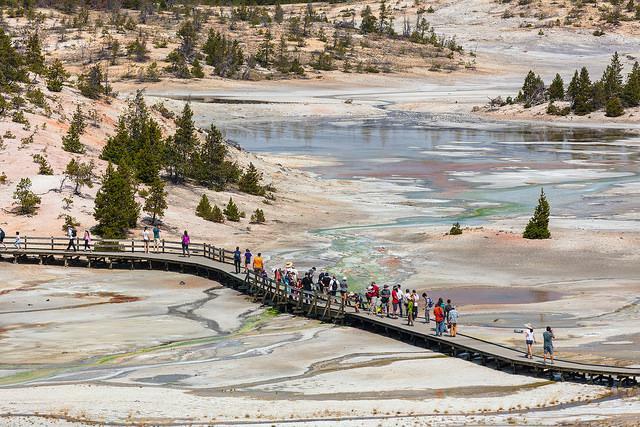 "When you heat them up, the earth has pockets of highly fractured volumes that we call hydrothermal reservoirs and these fuel Yellowstone’s geysers [and] hot springs." Basically, compare a geyser eruption to a steam kettle. The water gets heated up and the higher temperature and pressure surpasses the available space and spews hot water and steam out of the spout. 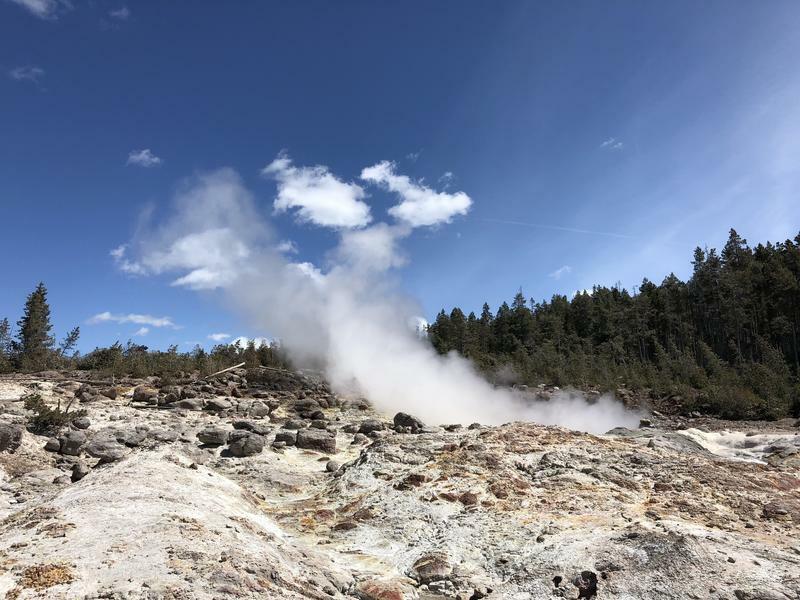 Mike Poland, the director of the Yellowstone Volcano Observatory, said scientists aren’t exactly sure what conditions cause a geyser to erupt more often than others, but Old Faithful seems to have a more stable plumbing system. "When everything is sort of steady state then you might expect some behavior that is a bit more predictable or a bit more regular," said Poland. But one thing is for sure: just because Steamboat has erupted four times in the last two months does not mean the super volcano is next. "These erratic geyser eruptions are much more a product of what's happening in the upper few hundred meters of the surface changes and water flux changes," said Poland. Not thousands of kilometers down where the magma sits. Poland said people are excited about Steamboat Geyser erupting more often because of the element of surprise. "Even sitting here I’m wondering is it going to go. Is it? Come on!" Poland said, "I think people have this sense, you might be standing here and experiencing the eruption of the tallest geyser in the world." Something most people would like to see without all of Yellowstone blowing up with it.